Government of Orissa is unable to recover its dues to the tune of at least Rs.65, 000 crores; because, the tax evaders are protected with stay orders issued by various courts. In many cases, the stay is continuing for more than seven years, giving the offenders judicial protection when the Exchequer is starving. This could not have been possible, had the government lawyers acted in right earnest. Sources indicate that Orissa’s contribution to litigations is immense inasmuch as about a crore of cases are pending in various stages in lower courts to Orissa High Court to the Apex Court and Tribunals, out of which more than 50% cases are having the government as a party. In other words, the government of Orissa is a party to about 50 lakh cases, for which government lawyers are engaged. Huge sums of money are paid to them from the State exchequer. But seldom the government wins, when private parties opposite to government are able to keep the State action stayed to their own advantage by gaining over the government lawyers and also win as the government lawyers, hand-in-glove with them, manage the cases in such manners that the government fails. This is happening because; the government lawyers are not answerable to the people even though they get sumptuously paid from the State exchequer. When the government has appointed the lawyer to whom payment is being made from the public exchequer, it should tell the people as to why it lost a recent case, whereby thousands of Thalassemia and other transmission dependent patients of Orissa are threatened with non-availability of safe blood. The government lawyer seems not to have properly apprised the Orissa High Court of the appropriate steps the State has taken to supply safe blood to the patients. A lawyer of a private case had defeated the government lawyer that created a new chapter in the history of benevolent judgments. The Orissa High Court became the first Court in India to locate the reason of spread of AIDS through blood received from Government Blood Banks. And it is the High Court that issued the FIRST ever guiding judgment in India for screening of every unit of blood in NAT process to save the people from TTIs. This was in W.P. ( C ) No.13441 of 2009 decided on 29.8.2011. 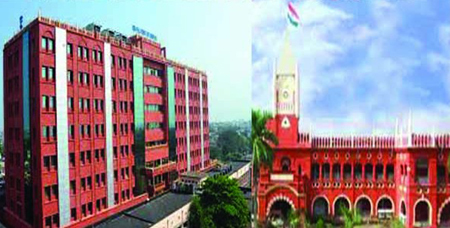 In this case, the father of a three years old boy had moved the High Court for compensation on the ground that his son was suffering from serious HIV infection after taking the blood from the BMC Hospital Blood Bank, Bhubaneswar on an operation table. On the basis of well researched pleadings of his lawyer Mrs. Sujata Jena, the Court could be able to locate the “window period” of HIV virus that escaped detection in the methods in vogue at that time in Orissa. Jena’s client had suffered the infection as the dreaded virus had escaped detection in the deficient method. On being convinced of this, the Court had issued direction to the State to “ensure” installation of advanced scientific screening “method” “in all the blood banks” “to identify the virus of HIV during window period”. NAT is this method , which the State has installed in four major blood banks in June this year. During this period from August 2011 to June 2016, Orissa Government has often been stymied by a pack of bureaucrats to whom orders of the court is often anathema. Yet, the state leadership – both political and executive – has tried to honor the High Court order. It has not challenged the direction in the Supreme Court; has paid the compensation to the victim as was ordered by the High Court, and finally has implemented the Court’s most humanitarian order in part by installing the method in all the four major blood banks : three in the Government Medical College Hospitals and one in the Capital Hospital. The Health Minister has told the Assembly that the method shall be installed in all the blood banks of Orissa in phased manner. But, after installation of NAT method, avaricious litigation has led to collapse of its operation, possibly because, the government case was not placed properly before Orissa High Court. In judgment on W.P. ( C ) 18679 of 2016, the Court has though it “just and proper to allow opposite party No,3 to continue till the end of October, 2016”. This opposite party No.3 is M/s Roche Diagnostics India Pvt. Ltd (hereinafter Roche) when the State of Orissa represented through the Health Secretary is opposite party No.1 and State Blood Transfusion Council is OP No.2. The petitioner in this case is Hemogenomics Pvt. Ltd (hereinafter Hemogenomics). Mandarins in the health department claim that, selection of Roche was strictly as per the noble intention of the government to honor the 2011 direction of the High Court and to supply safe blood to patients on the basis of NAT screening. The NAT machines installed by Roche were the best of the two contestants as determined by the Technical Evaluation Committee and those machines have detected as many as 106 instances of HIV, HBV, HCV in the samples tested during the period from the days of installation to September 2016, which, otherwise, could have carried the dreaded viruses into the bodies of more than three hundred patients. From the verdict delivered on 18.8.2016, it nowhere transpires that the government lawyer had apprised the Court of this splendid performance, when claim of Hemogenomics that its product was the “latest” had created scope for proving the correctness of the choice of the government with this statistics. Efficiency of two different machines manufactured by two different companies cannot be determined on the basis of manufacturing year. One of my computers manufactured in 2014 is working more efficiently than another manufactured in 2016. This is because; they are manufactured by two different companies. A manufacturer uses such technology that another manufacture may take decades to develop. Many mobile phone manufacturers are trying even today to reach the standard of efficiency of an apple mobile phone manufactured five years ago. So year of manufacturing or the “latest” in market cannot be linked to efficiency when the manufacturers are different. Here, when Hemogenomics claims its product to be the “latest” on the basis of the year of manufacture, the government lawyer should have defended the government with this universal reality. But he did not do it, even though the Technical Evaluation Report was very much before him that had made it clear that, the said company had failed to support its claim of efficiency. It noted in matter of Hemogenomics that, “There is no supporting document related to performance effective such as HIV2 detection by the system quoted in the system. There is no user report publication to support their claim for HIV2 detection from India”. Requirements stipulated in the tender notice were USFDA and DCGI and CE-IVD certification. Except the last one, Hemogenomics had not placed the rest. So, the Committee had clearly mentioned that “there is no approval from USFDA and DCGI for testing platform for the systems and kits quoted in the tender”. Moreover, records obtained through RTI show that, out of five objects having ‘Declaration of Conformity’, only one item had received the import license. This was a major reason of disqualification of the technical bid of Hemogenomics, of which the government lawyer seems not to have appraised the court. Hemogenomics had informed the government that it had installed the system in AIIMS, New Delhi. It had submitted a certificate to this extent from Faculty In Charge, Main Blood Bank, AIIMS, New Delhi. This certificate is captioned “To Whom It May Concern”, which means, it is a stray certificate. Interestingly, it seems to have been issued in private capacity, in Hemogenomics’ business interest. Had it not been so, it should have the official dispatch number. Therefore, perhaps, it had no accompanying support documents. The Technical Committee has clearly noted, “There is one installation report for the system at AIIMS, New Delhi. However, there is no supporting document in the form of award contact, their proforma invoice/supply order and user report/customer feedback report for the system quoted in the tender”. But this vital information seems not to have taken any role in determination of the case. Thus, when the efficiency of its “latest” equipment was not proven by Hemogenomics, in approving the offer of Roche unanimously, the Committee had noted that its “Systems and Assay meet all the specification and requirements”. On the above basis, the government lawyer could have defended the government and countered the rejected company’s mischief of linking manufacturing year to “latest” technology. He did not do it, as one gets the impression from the verdict itself. In rejecting Hemogenomics, the Technical Evaluation Committee had relied upon the stipulation in tender call notice that the first preference of choice shall be the manufacturer. When Roche is the manufacturer of the machine it offered, Hemogenomics is not. So, there was no scope for the Technical Committee to entertain Hemogenomics. This was one of other valid points noted in the Technical Evaluation Report. It seems, the government lawyer has not convinced the Court on this aspect. However, the Court having decided to leave the issue to the wisdom of the Technical Committee, was pleased to direct the government to evaluate the papers afresh, in its judgment on 18.8.2016. The Court had fixed October 31 as the last date for completion of this exercise that implied that machines found suitable after such fresh evaluation must have to be functional on or before October 31. The patients badly depending on blood transfusion, specifically the Thalassemia patients , who thieve on frequent transmissions , were to be severely affected by the same order if the government failed to complete the process of fresh evaluation and to make installation of new machines complete and functional or continuation of the existing systems absolute on fresh evaluation by October 31. In view of this extraordinary situation, the government lawyer should have promptly contacted the government with the copy of the judgment and advised the government to proceed immediately to implement the said judgment, as several thousands of Thalassemia patients of Orissa, besides very many numbers of critically ill patients for whom blood transfusion is the only way to survive, were threatened with denial of safe blood after October 31. But the government lawyer did not do it. After lapse of about two months, in the first week of October, the court order was sent to the government from the Advocate General’s office with advice to move the Supreme Court against the Order, instead of advice for prompt implementation of the order! According to sources, severely threatened by possible stoppage of availability of safe blood after October 31, parents of some Thalassemia patients have moved the High Court, seeking order for continuation of supply of safe blood to them. What is going to happen is unfathomable now. Had case of the government been properly espoused, the Thalassemia patients might not have fallen in such unprecedented predicament. Appointment of government lawyers is mostly political appointment. When they are paid heavily for their work, government suffers defeat in majority of cases. General perception is that, government is mostly sabotaged by its own lawyers. It is time, therefore, for the government to make people know every details of qualification and efficiency of its lawyers, their experience and expertise, the number of cases they help the government win, the time consumed in cases involving the government and the lawyers’ daily activities in matter of the cases et cetera. Over and above this, whether or not the government lawyer in this particular case has acted truthfully needs be investigated into by the Law Secretary. The matter is serious. The Court has directed the Government to evaluate the tender afresh and complete the process by end of October, up to which, on the body of the verdict, the Roche system was permitted to work. 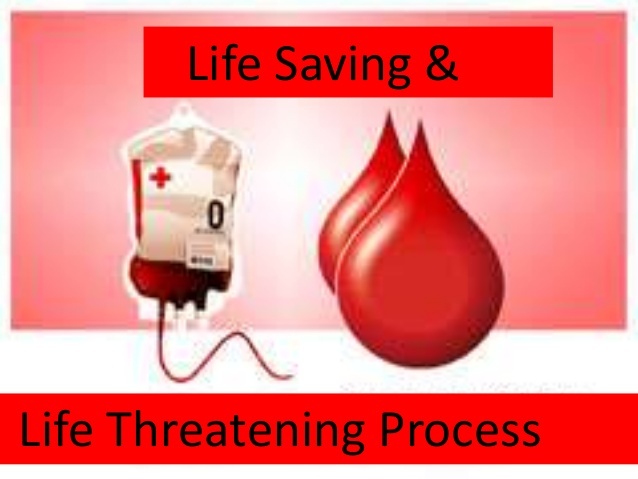 This means, thousands of Thalassemia and other terminally ill patients requiring blood transfusion to survive are left to no other option than accepting unsafe blood that may cause them HIV, HBV, HCV infections. Had the Government lawyer helped the Government with copy of the judgment immediately after delivery of the judgment, the Government could have immediately evaluated the bids afresh and ensured non-stop supply of safe blood by new systems or continuation of the existing system, the way the fresh evaluation could have determined. But, blatant negligence to duty on part of the government lawyer has resulted in no evaluation to solve the problem before the end of October. This has pushed thousands of people into uncertainty and danger to their lives. Responsibility needs be fixed. Action against the concerned government lawyer, if found negligent or dishonest, needs be taken promptly on the ground of playing havoc with people’s life. Not only Government lawyers, but most judges of High Courts and Supreme court are Government appointees. Very rarely, a district judge is elevated to High Court. Many times, District judges selected to High Court or equivalent posts are finally denied the posting when they are unable to meet demands. Only difference is that Government lawyers can be removed usually with change of party in government, but judges of High court and above cannot be removed. Probably, the situation is same in all states and centre. It is a great work to estimate the loss to Orissa and raise the issue.